Abingdon, VA Friday, Feb 1, 2019. We all know that February is all about hearts, but I’m not talking about Valentine’s Day and heart shaped candy boxes. February is American Heart Month, and I’m talking about our actual, blood pumping heart. Heart disease remains the number one cause of death in the U.S.; therefore, it is important that we take care and protect our hearts. Here are some tips for keeping your heart healthy. Eat a variety of foods. A balanced diet should be made up of a variety of different foods from each food group. • Fruits and Vegetables help to provide different nutrients for your body such as vitamin K and C, folate, iron, fiber, and other vitamins and minerals. • Starches include breads and other grains, so when choosing a loaf of bread at a store, try to pick the one that is whole grain and high in fiber. • Dairy items purchased should be low in fat to help to decrease the total amount of fat and calories you eat each day. • Protein items include meat, beans, legumes, nuts, and quinoa. However, when choosing a cut of meat at the store, choose a cut that is lean and skinless. Fat type DOES matter. 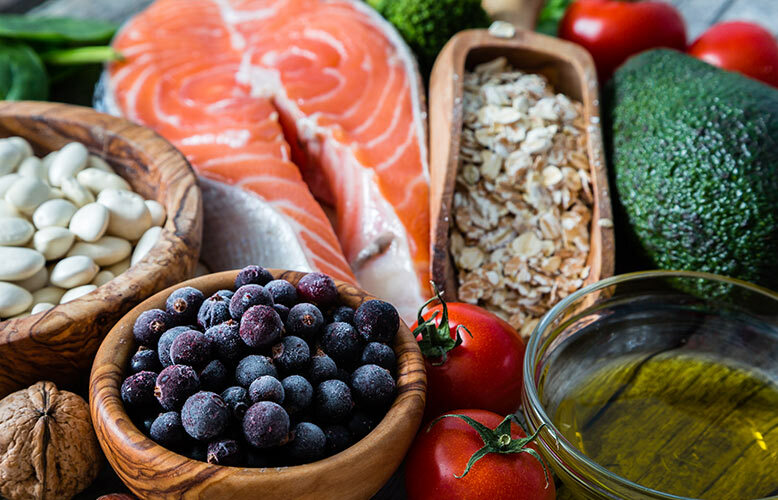 Limit the amount of saturated and trans fat in your diet such as fatty meats, full fat dairy items, fried foods, and baked goods, while focusing on consuming the better fats, monounsaturated and polyunsaturated. Monounsaturated and polyunsaturated fats can be found in items like nuts, avocados, fish, and non-tropical oils. Cut back on the sodium. To help to decrease your blood pressure try to limit your sodium consumption to 2,000 mg per day. Give yourself a fiber boost. Fiber can help to lower your risk of heart disease while making you feel fuller longer. The average person should consume about 30 grams of fiber per day. Fiber can be found in whole grains, fruits, and vegetables. Get active! Increasing your activity can help with weight maintenance or weight loss as well as with cardiovascular health. Make it your goal to be active for 150 minutes each week or 20 minutes a day!